Food Adventures of a Comfort Cook: Ribs and Potatoes Redone...again. If you love to cook, you know yourself that you are always looking for new recipes, ways of redoing recipes, even redoing your own recipes. Good cooks have not just a passion for food, but imagination and creativity in the kitchen; we're not settlers, we're doers. From previous posts, I've already established that I enjoy grilling and smoking meats, but in winter time, that's rarely an option. Instead, I work on ways of obtaining a good barbequed item using the oven or a crock pot....yes, I said crock pot. Barbeque does not always refer to charred meat; it's a technique, not a standard. Lets talk about boneless ribs and your question is, "How can ribs be boneless?" Boneless pork ribs are essentially a pork loin that has been cut into sections to imitate the shape and look of actual pork spare ribs. 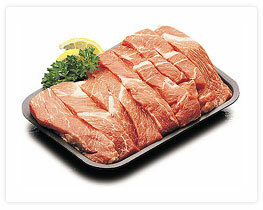 This type of boneless rib is commonly known as "Country Style Boneless Pork Ribs". They are meatier and leaner than the typical slab of pork spare ribs. 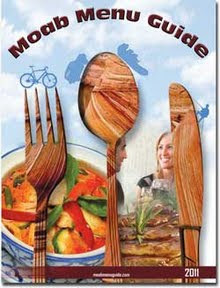 For those who like the knife and fork method of eating ribs, they're the perfect choice of cut; that is unless you enjoy sucking sauce off the actual bones. I have posted a similar recipe for crock pot boneless ribs called Sweet and Sour Pork Ribs using an Asian style sauce to cook them in. Today's recipe will be using a typical barbeque sauce, and you can use homemade sauce or bottled. Now when I make my homemade sauce, I do make enough to be able to freeze some for future use. However, when I decide to do something spontaneously and want to cut corners, heck yeah, I cheat and use a good bottled brand such as Sweet Baby Ray's, Jack Daniels or KC Masterpiece. These brands provide a thick sauce, loaded with flavor and hold up in long time cooking, such as with a crock pot. Layer the onions, tomatoes and garlic over the ribs; pour the sauce over and make sure to cover evenly. Cover and let cook for 10 hours. Now a great side dish for these ribs is Funeral Potatoes. Hubby and I don't like the typical corn flakes topping, so I changed my recipe a little and put a good layer of shredded cheddar cheese on top, besides within the casserole itself. I also add chopped, partially cooked bacon for that smoky flavor. Everything is better with bacon, right? What is really great with this side dish is that you can refrigerate it for 8 hours, let it come up to room temperature for a half hour; let it bake for 1 and 1/2 hours and it will be ready at the same time as the ribs. When the barbeque sauce mixes with the oozing cheese and sauce of the potatoes, your mouth will be in orgasmic delight!